Available in 300+ fabric and leather options. Inquire for pricing and availability. 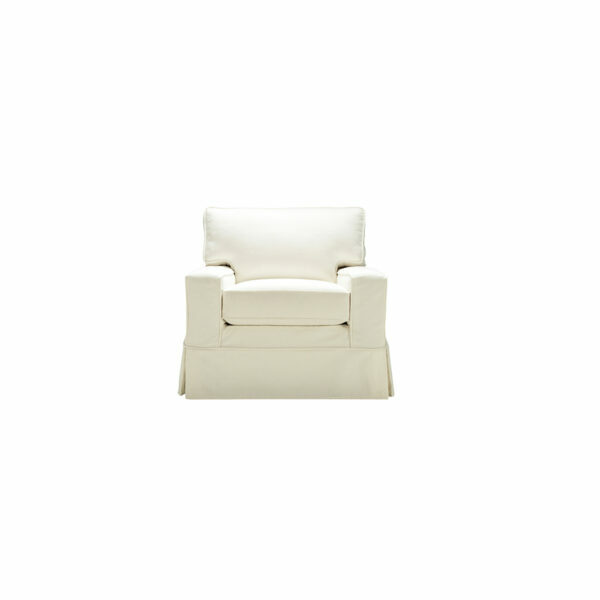 Alex II Slipcovered Chair and Slipcovered Swivel Glider. Ultimate basic, clean & current yet not overpoweringly modern. Track arms & T cushions define comfortable smaller-scale pieces that fit in anywhere. 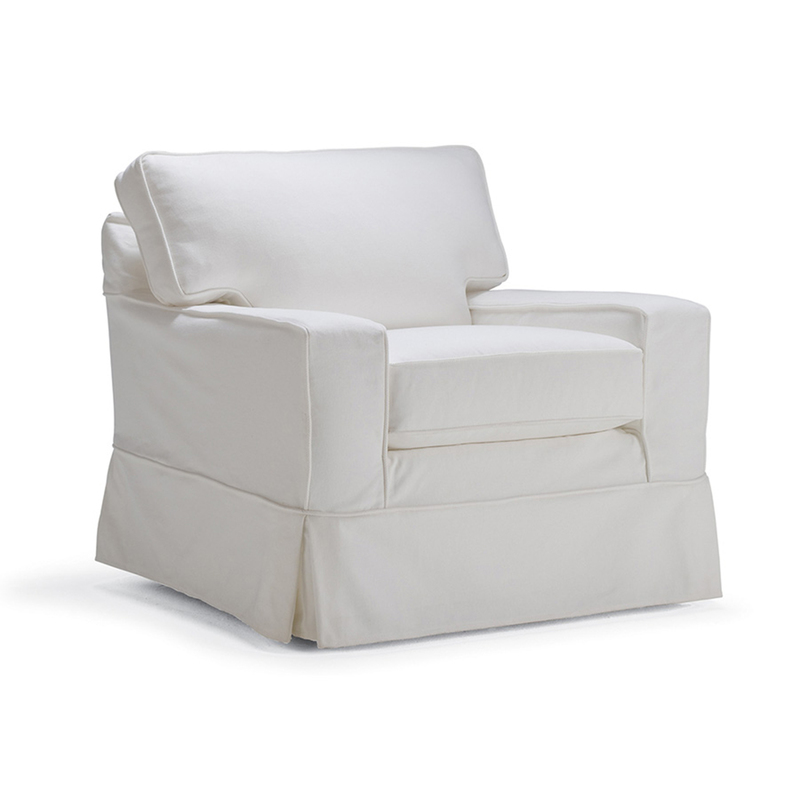 The Alex Swivel Glider, a wonderful addition to a living room, family room, or nursery. A soothing way to get comfortable, it moves back and forth and side to side.